The Strawberry Fields, Drumstick and Razzle Me cupcakes on display at Bakery On A Hill in Cedar Hill. We've been seeing lots of free food and drink days lately, huh? 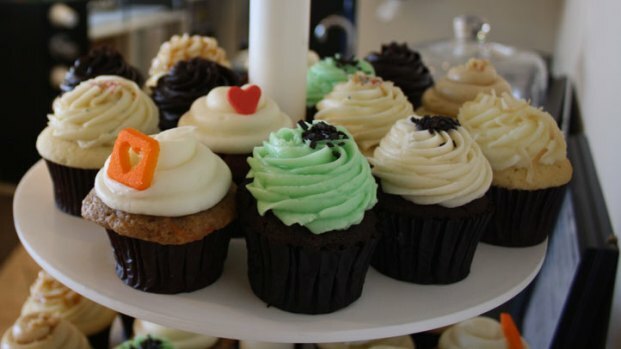 July 26 is the next free food day, with spots in North Texas offering free cupcakes and something to wash them down with. 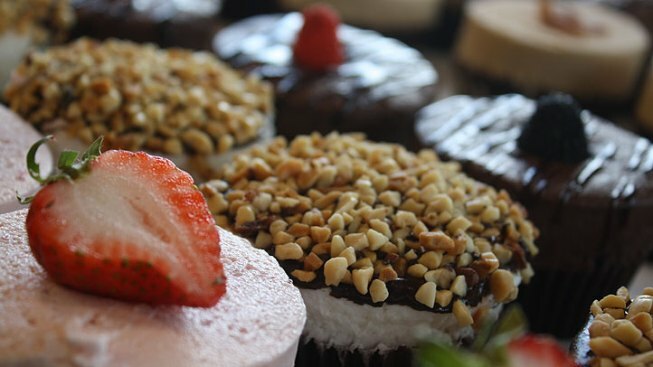 Bakery on a Hill is celebrating their third annual "Free Cupcake Day" on Thursday. Thirty flavors are available for patrons to select one free cupcake each from 10 a.m. to 9 p.m. This year the bakery is offering sugar free and gluten free cupcakes, too. Click here for more information from the official Bakery on a Hill Facebook page. After your treat, maybe you'll want to gulp down another sweet sample from McAlister's Deli. Their "free tea day" will give visitors a free 32 oz. sweet tea at participating locations in North Texas. Coincidentally, this is the third year McAlister's is celebrating a giveaway day, too. Last year the company says they gave away 225,000 glasses of tea, but they hope to top that this time around. You can find participating locations at the official McAlister's Deli website.